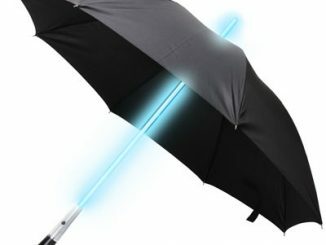 This Star Wars Darth Vader Lightsaber Umbrella will keep you dry whether or not you have force powers. 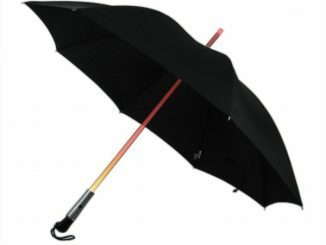 It features a light-up function, highly detailed designs, and a low-key chrome plated handle. 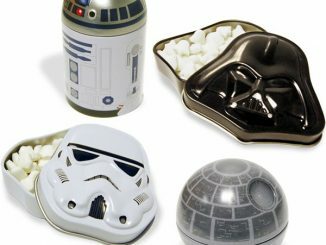 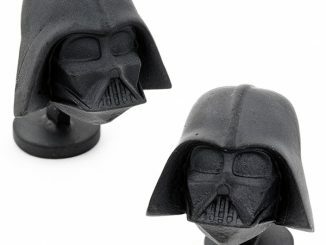 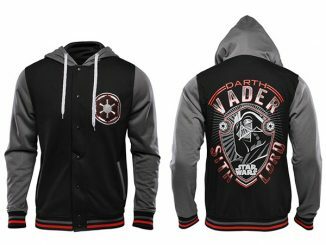 It also comes with a Star Wars logo cover. 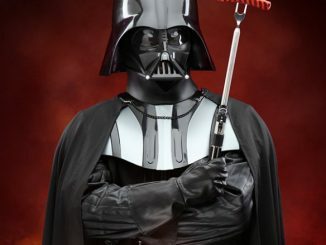 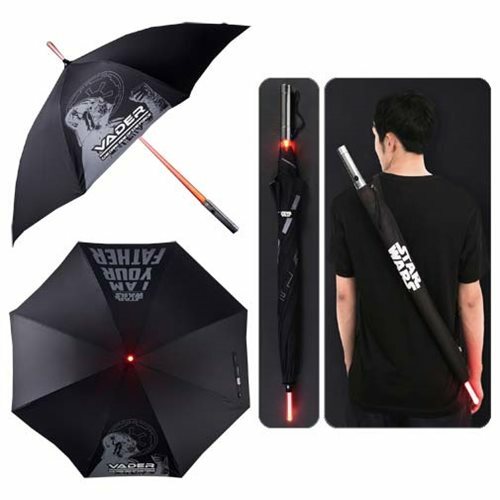 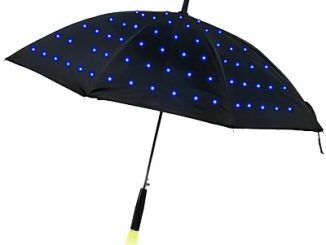 The Darth Vader Lightsaber Umbrella features a red LED light-up shaft, and a classic quote printed canopy. 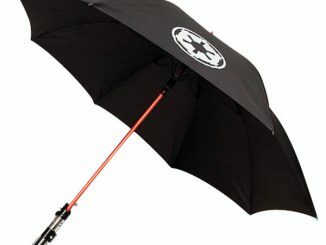 You don’t have to be a Sith to use it. 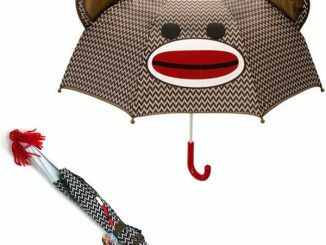 This umbrella measures approximately 33-inches long. 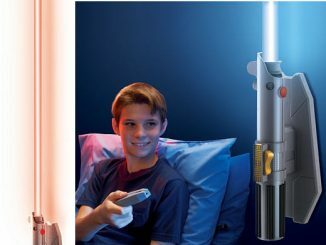 $44.99 from Entertainment Earth. 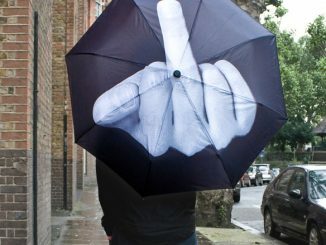 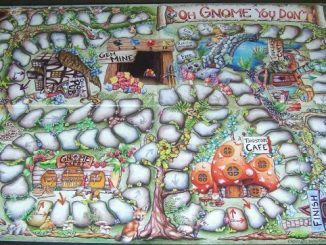 Pre-order yours for February.